Matt King (George Clooney) is a rich Hawaiian landowner and the trustee of beautiful piece of land passed down by his ancestors. His home life is not as simple as it looks, however, when his wife is critically injured in a jet skiing accident, all the family dysfunction that Matt had either ignored of been genuinely unaware of, comes floating to the surface. We all know by now that George Clooney is willing and more than able to play the oddball in films; his inspired performances in O Brother, Where Art Thou and Leatherheads speak for themselves. This performance as beleaguered father Matt King is something new for Clooney. Clooney balances playing the fool with a man who is trying to hold on to some semblance of dignity while his life is falling apart. King is dealt blow after blow, but somehow manages to make the best of the situation he unwillingly finds himself in. The loss of his wife to an affair before her accident is replaced by a new relationship with his oldest daughter Alexandra (Shailene Woodley). Both Woodley and Amara Miller are great as King’s daughters. They are as troubled as their father, but somehow this family dysfunction balances, and for the first time King finds his daughters on his side. Judy Greer and Matthew Lillard are both great as married couple Brian and Julie Speer whose lives are also affected by the death of King’s wife. Based on a novel by Kaui Hart Hemmings, The Descendants struggles with the idea of what we leave behind. Matt’s wife Elizabeth (Patricia Hastie) is leaving behind a tangled web of affairs and a father who barely knows his daughters. Matt is trying to provide a better legacy for his daughters, and the father that he believes they deserve, while also trying to decide what to do with the land left to him and his family. If he does what the family wants, what kind of legacy does that leave the Hawaiian people, and vice versa. These are complex issues that involve Matt having to take a long, hard look at his life. The script sometimes wraps up issues a little too neatly, but manages to steer clear of wading through the clichéd idea of what a man does once his wife is no longer there to hold the family together. Director Alexander Payne has brought us some splendidly nuanced characters in the past; people dealing with the emotional centre of their lives, and the same goes for The Descendants. The face off between Matt and his wife’s lover Brian (Matthew Lillard) could easily have descended into made-for-tv-movie mush, or into a simple screaming match, but instead Payne allows this moment – among others – to become a quiet look at what it means to be a family. This is not easy to do, but this is where the movie excels. Although the pacing of the film is sometimes slightly off, The Descendants packs enough of an emotional punch to keep the audience enthralled. 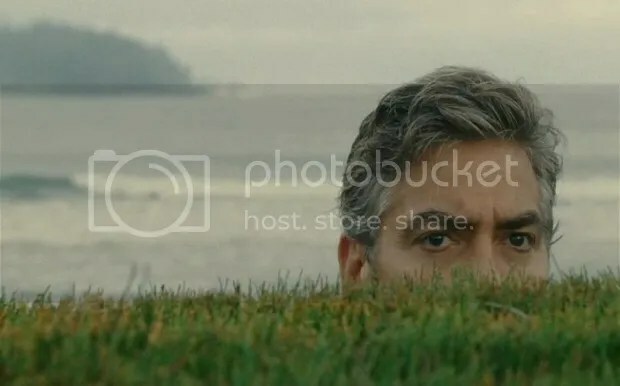 Clooney gives his most subtle performance in a dramedy to date, and Alexander Payne’s script is as nuanced as one would expect from the man that brought us Sideways. The Descendants is a subtle and heart-warming film about family breakups and reunions that lingers with the audience.